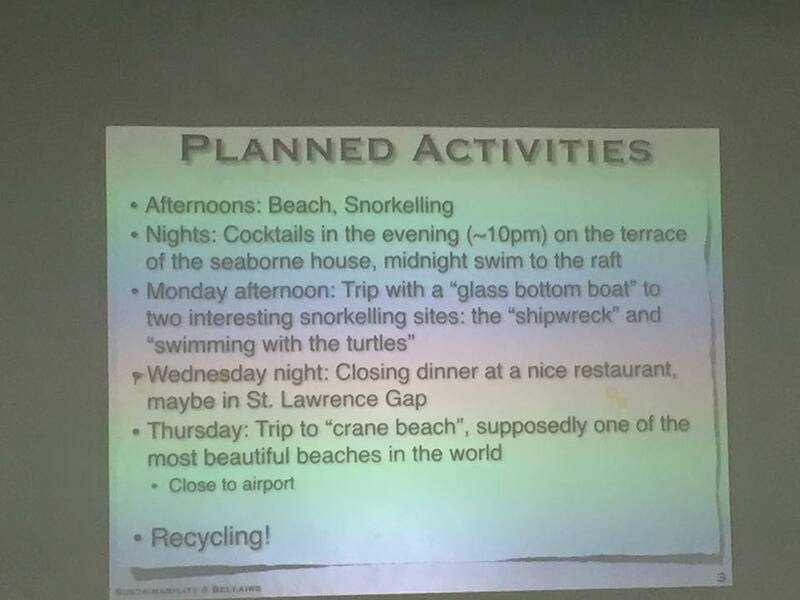 Greetings from the McGill Bellairs Research Institute in Barbados where I am attending the 1st Modelling For Sustainability Workshop http://www.cs.mcgill.ca/~joerg/SEL/Sustainability_Bellairs_2016.html . I think there is still value in a WSSSPE meeting. Despite the slide outlining our planned activities for the week, so far we have written 2/3 of a paper for CACM and the scientific case for a Horizon 2020 proposal or other suitable research funding call. I think the emphasis of WSSSPE4 should be on more focused work with the emphasis on producing tangible output(s) by the end. The current workshop I am at runs for 5 days with a start time of 08:30 and a finish time of 22:00. Granted there is a 3 hour break in the afternoon for lunch and fun, and a 1 hour break for dinner. I definitely need a holiday when I get back but feel a lot of satisfaction in all the hard work in producing tangible outputs.